Siasia plans USA camping for Dream Team VI - BlogIT with OLIVIA!!! CHIEF Coach of Dream Team VI, Samson Siasia, has proposed to the Nigeria Football Federation (NFF) a United States of America (USA) pre-tournament camping for the U-23 Olympics team ahead of the Rio 2016 Olympic Games. World Cup coach, as friends call him made the disclosure after submitting his camping programmes to the Glass House and the Ministry of Sports and Youth Development yesterday, he said he had commenced moves to secure American camp, adding that he also planned to have some international friendly matches with some South American countries like Colombia and Honduras.He further revealed that the team, which will resume camping this week in Abuja would move to USA, where they will camp for one month; prosecute series of international friendly matches before moving to Brazil for the Olympics games. His words: “We have the plans to complete our preparation in the United States of America, where we are planning to play some friendly matches before we move finally to Brazil.“We plan to train there for one month and play some games with Honduras, Colombia and other countries. 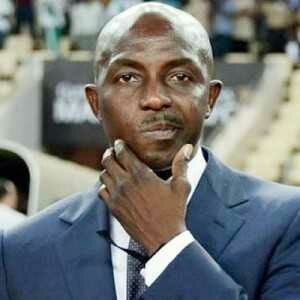 They are already secured for the friendly matches,”Siasia noted.